Tourist continues to diversify Newcastle's developing dance music scene. It's fair to say that Newcastle's reputation in the world of dance music is still developing. The city is often still pegged as the country's smallest, drunkest brother when compared to heavyweights such as Manchester and London, but this is through no fault of the city's club promoters. Tourist has brought some very credible acts to the North East in recent times, with Todd Terje and John Talabot being previous guests within the past few months, and Friday 12th November brought one half of duo Optimo to the Cosmic Ballroom. Optimo is a duo comprised of JD Twitch and JG Wilkes. Although Optimo's formation came in 1997, the pair had each been DJing separately for a number of years, and began the project after starting a now legendary club night by the same name in Glasgow's Sub Club. Their track selections from the very beginning have been notoriously eclectic. This didn't always sit well with the Sub Club crowd, with Optimo blending reggae, funk and jazz across their sets, but this only served as motivation. Ranking at number 87 in Resident Advisor's recent poll of the world's top DJs, this serves as vindication for their methods. A definite step forward, then, for Newcastle to have JG Wilkes alongside residents Last Waltz to play all night for Tourist's annual Christmas knees up. Last Waltz is comprised of three DJs, meaning four sets of hands were taking control of the decks during the course of the night, but the flow of the set fortunately did not suffer as a result. The mixing was tight throughout and the extended set allowed the gaggle of DJs to grow into the night. It was a clever booking to have Wilkes play alongside the residents, rather than place him for a shorter set as a headliner. Wilkes' variable track selection may have sounded out of place as a standalone set, but worked well here. With such a busy schedule over the past twenty years, original productions have been relatively thin on the ground from Optimo despite the duo banging out a few notable remixes. All of this means that the differences between each of Optimo's sets can be vast. However, productions come thick and fast on Optimo Music and Shift Work's Scaled to Fit EP has been receiving an enormous push on the label recently. So it was no surprise to hear the distinctive, scattered bassline of the title track drop toward the end of the night, its sound perfectly at home on Cosmic Ballroom's impressive VOID soundsystem. Tracks such as this injected an energy that was sometimes lacking as Wilkes played out some of his slower, funkier selections. 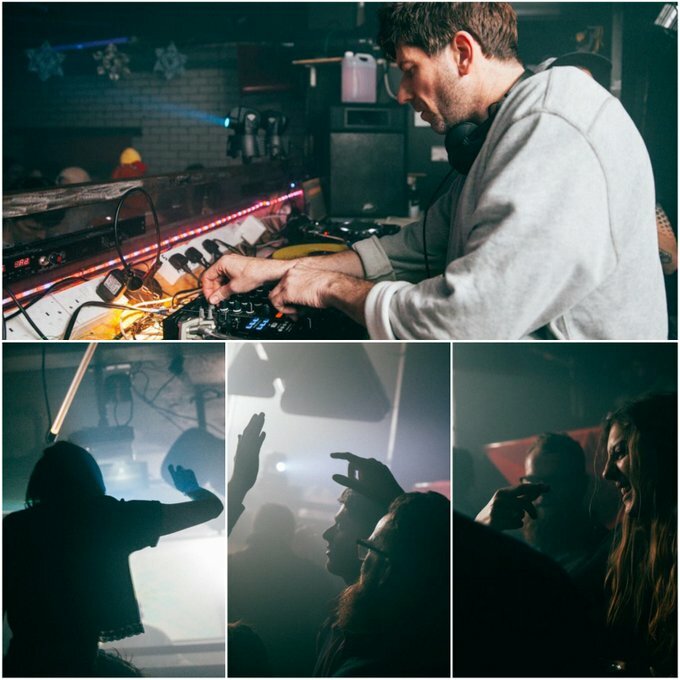 But Optimo's crowds have learned not to expect a string of club-friendly bangers and nights like this help keep Newcastle moving in newer, interesting directions.